Eine grafische Darstellung der InSight-Gesamtstruktur mit Beschriftung der Hauptkomponenten. The instrument can carry out measurements that will provide answers to a whole range of fundamental questions in the field of planetary science, such as the development of former – and possibly even current – habitats, or how geological processes work. 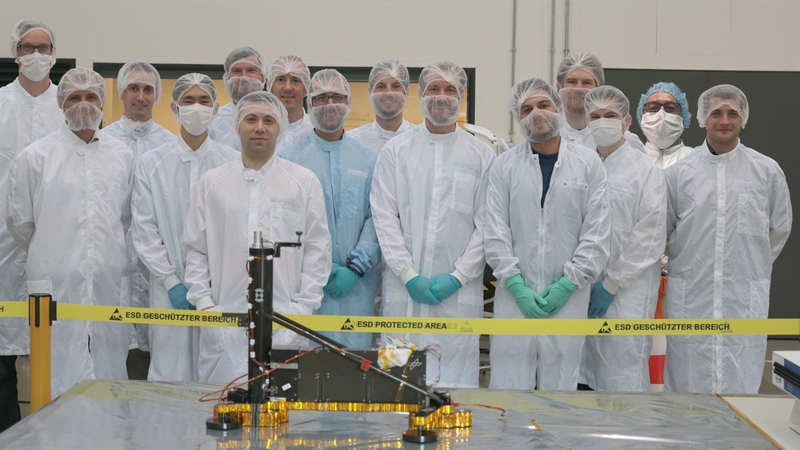 Prior to redefining the ExoMars mission at the start of 2009, which resulted in the cancellation of all geophysical experiments, HP3 was part of the Humboldt payload. 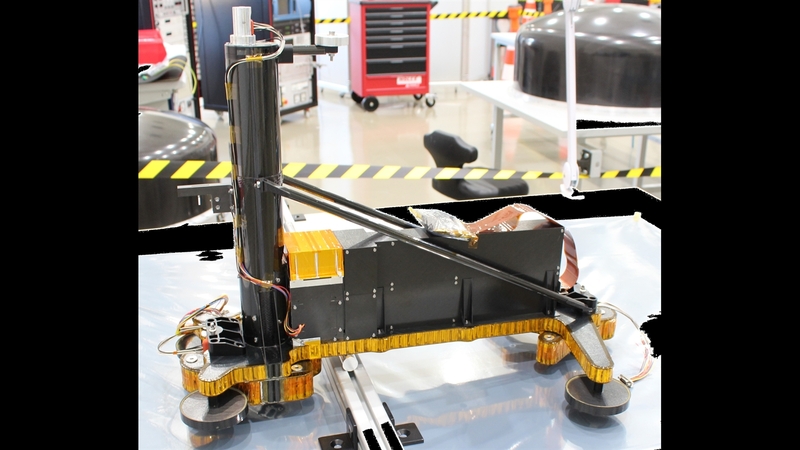 During the Discovery Program led by NASA in 2012, the mole was selected as a payload for the InSight mission. Furthermore, other uses for the instrument have been identified, such as its use on the Moon (International Lunar Networks, etc.). InSight was launched en route to Mars on May 5, 2018, successful landing took place on November 26, 2018. The mole will be deployed to the surface of Mars and start operations end of January or early February. 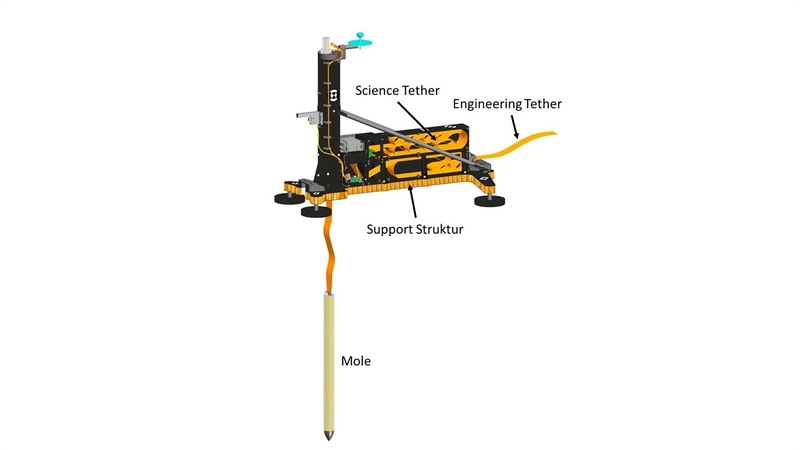 The mole is based on the PLUTO mole (PLanetary Underground Tool), which was developed by DLR for the Beagle-2 mission. An internal hammering mechanism allows for the forward motion of the whole system (mole and Science Tether) into the ground. The mole contains the active thermal probe TEM-A and ACTIL, as well as the necessary electronics that are isolated by a damping mechanism from the high shock levels experienced when in use. The Science Tether enables energy and data to be transferred between the supporting frame and the mole, which stays on the support system. 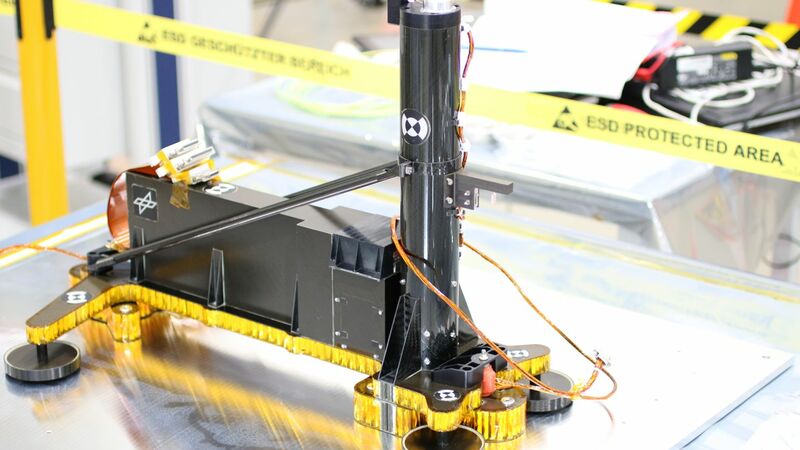 An Engineering Tether connects the support system with the lander. During the descent, the thermal and mechanical properties below the surface are measured at various depths. Once the mole has reached its final depth of three to five metres, the temperature gradient can be monitored along the drill depth over the course of several months. This, together with the measurements of the physical soil properties, will enable researchers to determine the heat flow from the inside of the planet.